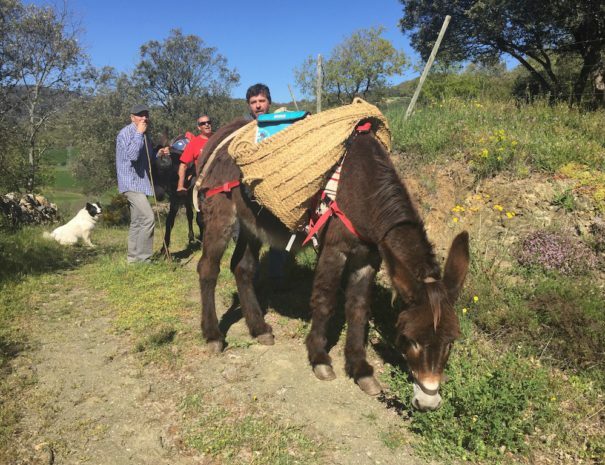 Our donkeys can carry your baggage or young children in some moments, leaving you free to savour the pleasures of walking in a beautiful, unspoiled environment. We offer several daylong walks as well as multi-day circuits on waymarked trails, centuries-old paths running through woods and pastures that link picturesque hamlets and lead to magnificent mountain vistas. From Casa Leonardo, we offer you 2 packages, but we can also customize them. A journey through the magnificent landscapes of the Pla de Corts, following the old ways that unite its villages. 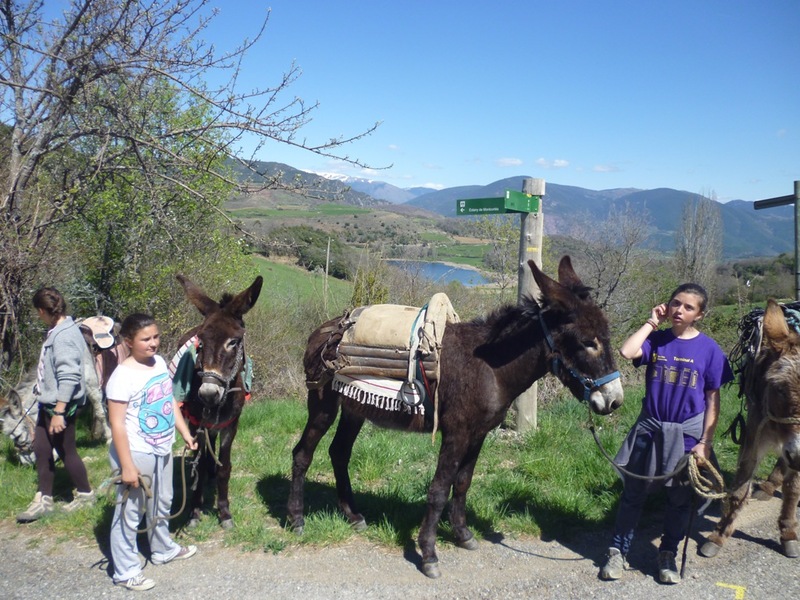 We will discover the lake of Montcortès, the only lake of karstic origin in the Pyrenees. 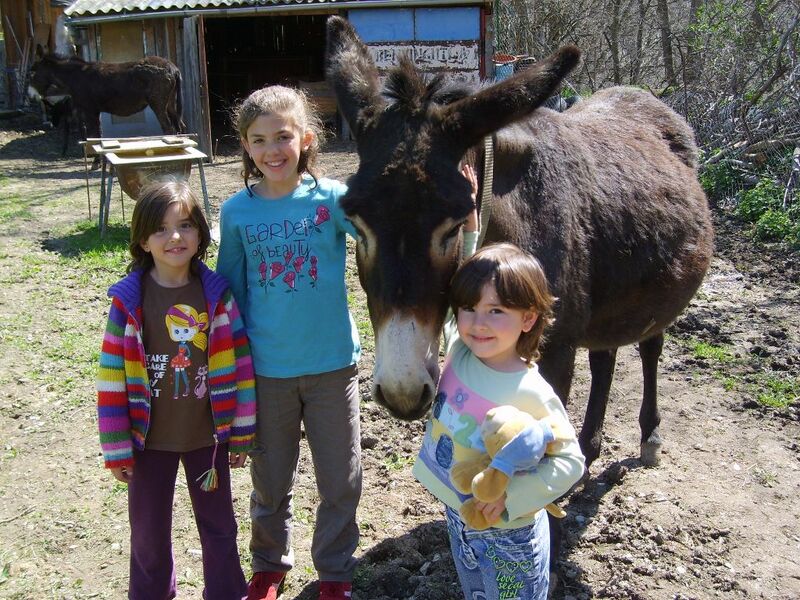 All this with family, walking calmly and enjoying nature with your donkey. Walk until the bridge of the Devil, Romanesque bridge of the XI century that saves a ravine of more than 40 meters deep. Transfer to Peramea and walk Peramea-Senterada-Peramea. 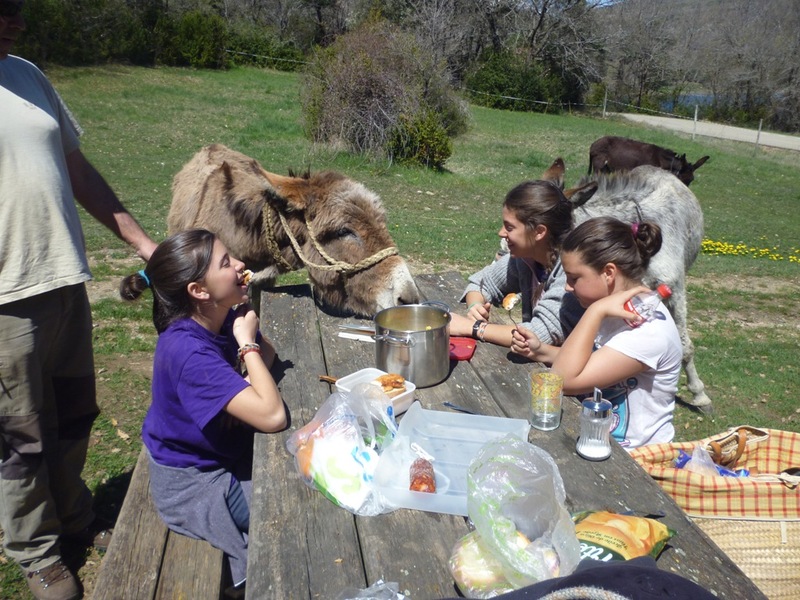 Transfer by private car to Peramea where the donkeys await you and you will walk to Senterada. Walk from Peramea to Senterada by another itinerary. 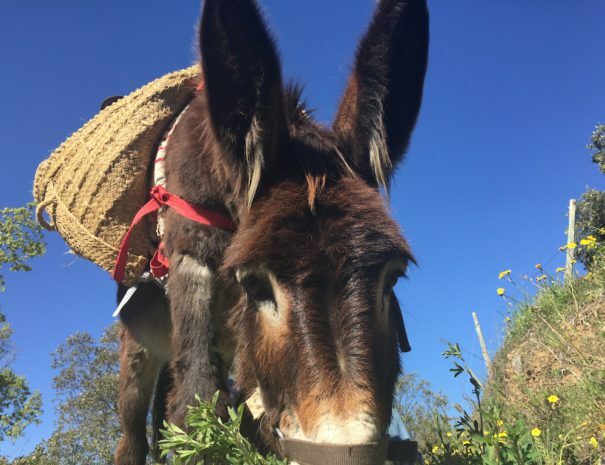 Spending a day travelling with a donkey you will help to support an animal in danger of extinction! Give it a try for a fun day to remember!